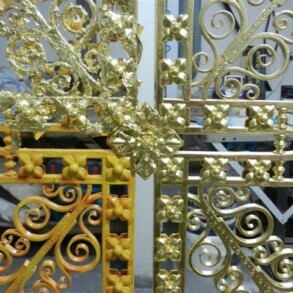 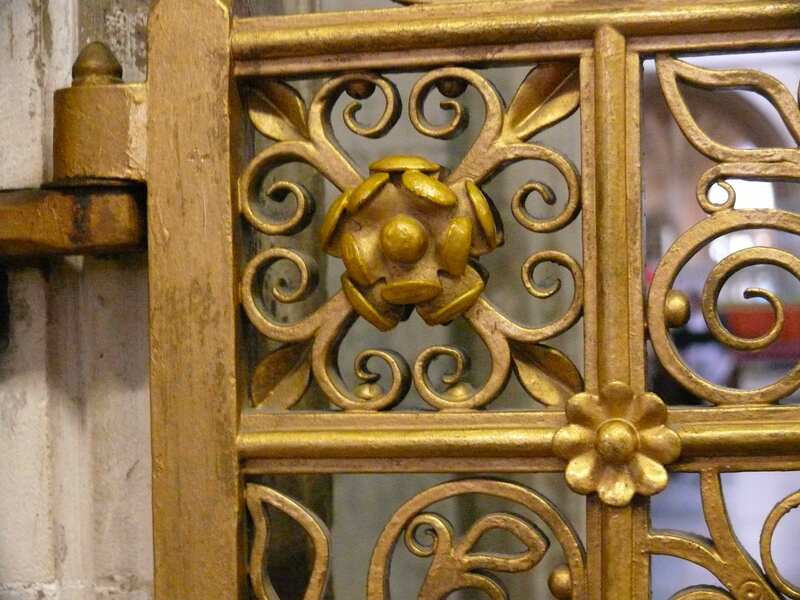 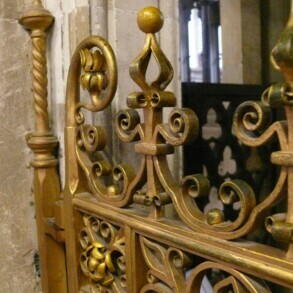 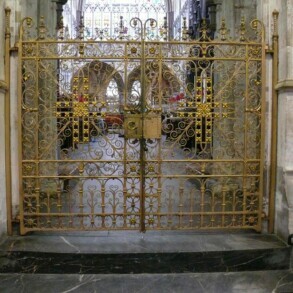 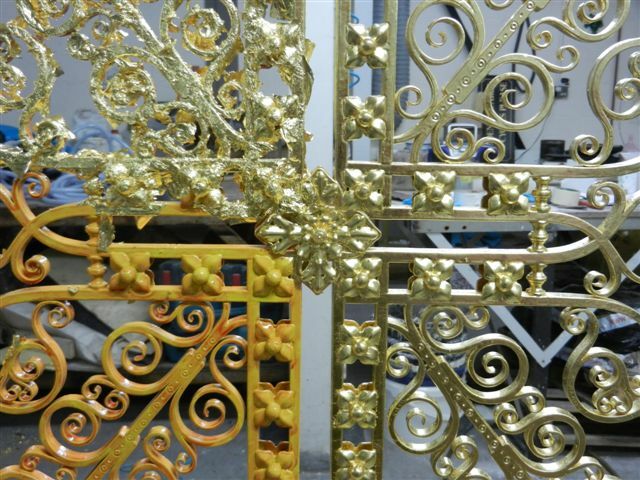 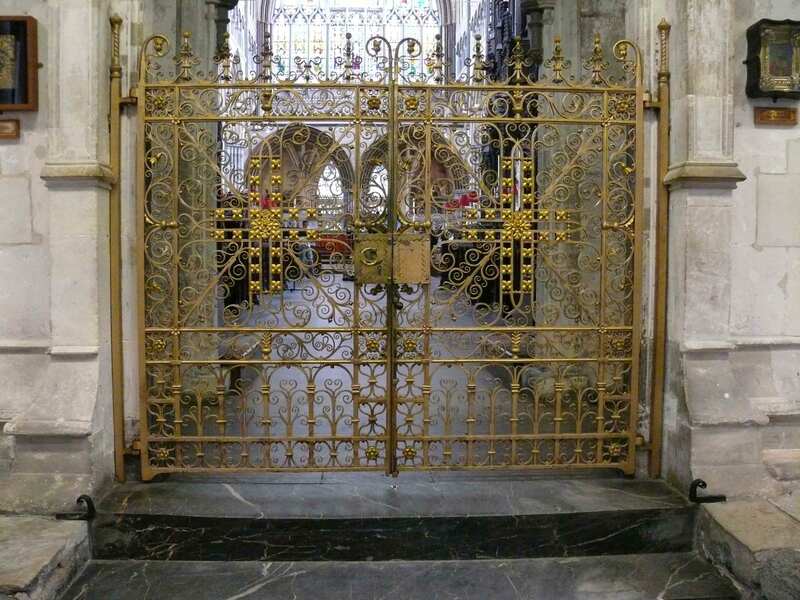 The beautifully crafted gates from inside Exeter Cathedral had lost most of their gilding and some of the ornate flowers had over time become crushed. 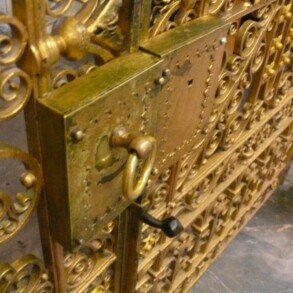 A handle and a finial needed replacing too. 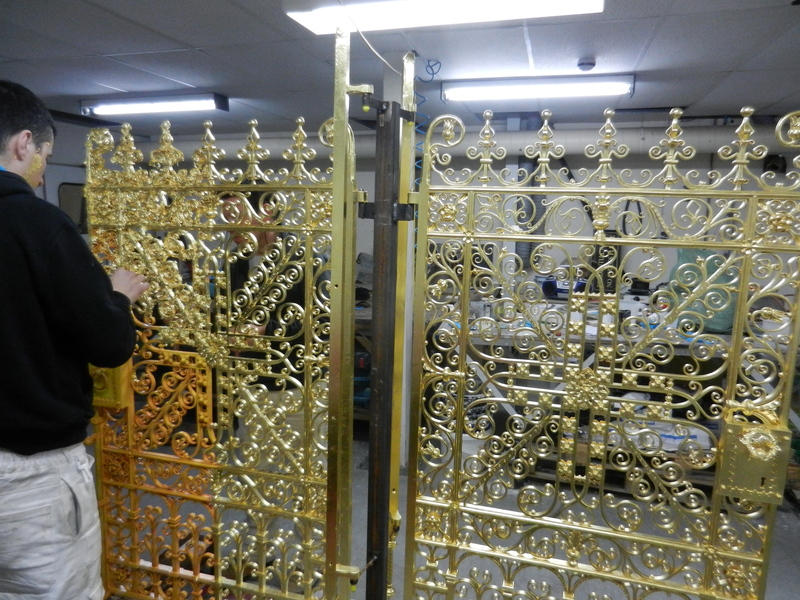 The gates were removed to our Telford workshops where our craftsmen realigned the repoussé work and reshaped the squashed petals. 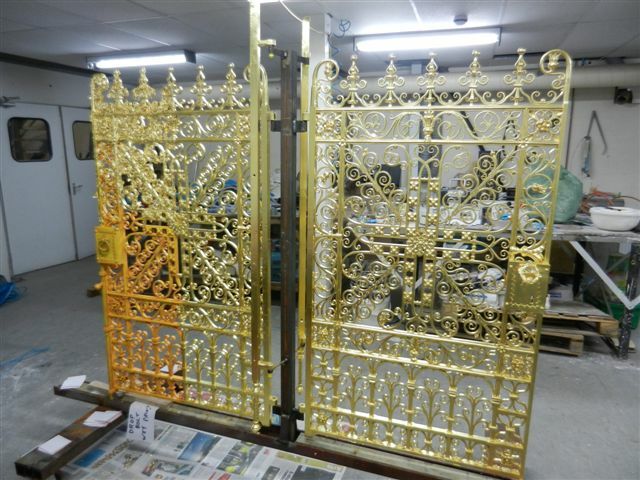 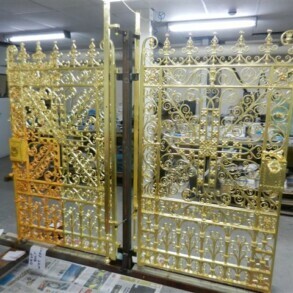 A new handle was fitted to match the old and then the gates largely repainted and regilded. 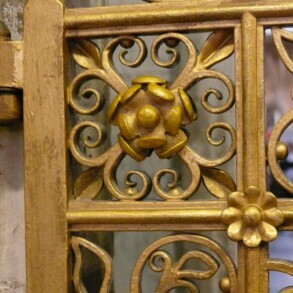 For purposes of ppotential historical research an area of original paint was retained beneath the new gilding. 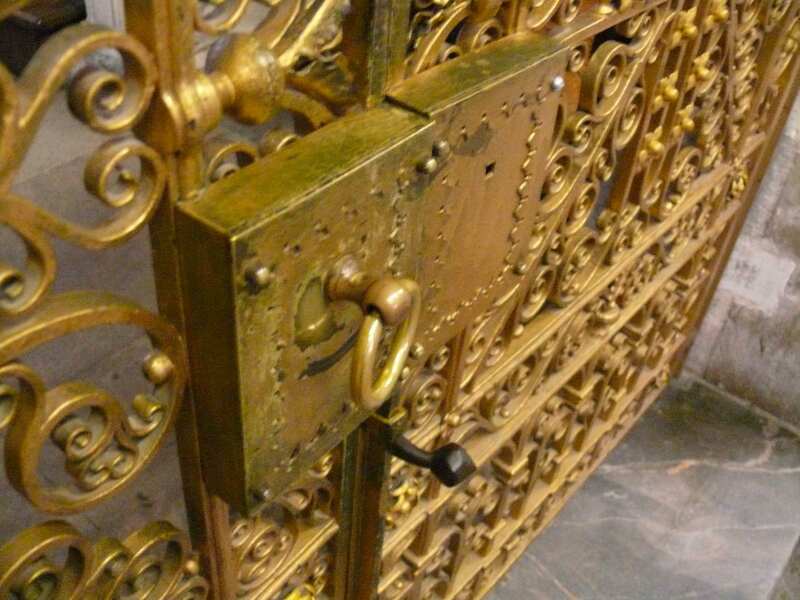 This project was one which Eura took over when the original contractors were unable to complete the project. 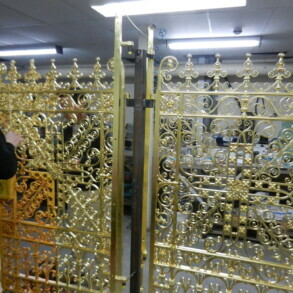 Our workshops were able to continue the work and complete to the high standard required. 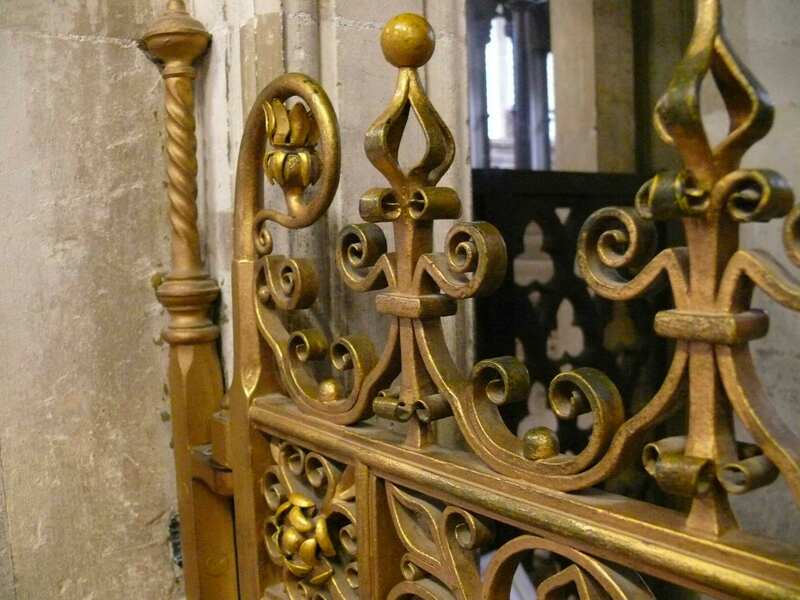 An area of underlying paint was left undisturbed for potential historical research purposes and the remaining stripped back and repaired prior to repainting and gilding.